The Magic Marker is barely dry on Quentin Tarantino’s “Southern,” but the director is already actively pursuing the actor who will take over the lead role of the badass freed slave who—with the help of an equally badass German bounty hunter (likely Christoph Waltz)—will take down an evil plantation owner and face off against his house slave (possibly Samuel L. Jackson) in a flurry of stylized violence and showers of N-bombs. And according to The Hollywood Reporter, believe it or don’t, that actor is none other than Will Smith, who is reportedly Tarantino’s first choice to stomp down to Dixieland with gatling gun in hand and exact brutal revenge on American history. 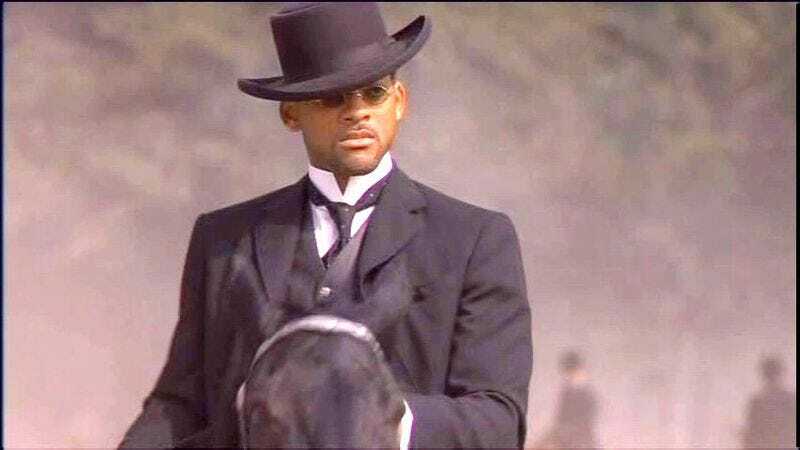 Finally, a role for Will Smith that would combine his Wild Wild West gunslinging skills and his deft handling of touchy racial politics in the Whoopi Goldberg-Ted Danson comedy Made In America. Actually, all jesting aside, Smith’s career has pointedly avoided anything that comes close to Django Unchained—described by THR as a “hot potato” for its depictions of racism and, no doubt, its boasting enough profanity to make up for every single swear that Smith ever scrubbed out of his rap career—which means Smith taking the role could be something of a long shot. Also arguing against: Smith would most likely have to accept a pay cut from his normal exorbitant fee, and it also seems unlikely that Tarantino would be receptive to Smith’s increasing demand for script input and respect for his “process.” However, given that it’s Tarantino, don’t be surprised if Smith does take a cue from Brad Pitt’s turn in Inglourious Basterds and shakes up his career a little—particularly if Tarantino agrees to write in roles for Jaden and Willow as Django’s adorable moppet sidekicks.